There’s more than one way to skin a cat,” is an adage in the English-speaking world that dates back to the mid-1800s. Whether you’re a cat person or not, the meaning is the same: there is usually more than a single way to accomplish something. The American Society of Interventional Pain Physicians (ASIPP) certainly hopes so, especially when it comes to curbing opioid abuse and reducing opioid deaths, while maintaining appropriate access and the promotion of non-opioid modalities. This was their purpose when they asked Dr. Ramsin Benyamin, founder and medical director of Millennium Pain Center in Bloomington, to represent them in February before the United States House of Representatives Ways and Means Committee. While presenting to the committee the dangers of opioids, which are synthetic narcotics with opium-like effects, Dr. Benyamin also proposed a three-tiered plan for moving forward in the nation’s fight against the stranglehold these drugs have, not only on the black market, but particularly in the healthcare industry. As outlined in the last part of the series, tier one of the ASIPP’s plan encompasses prevention through education. Pain intervention includes myriad methods to curb, lessen, or eliminate pain without the use of medication. Epidural injections are a common method and there are a number of nerve and joint blocks that can also be used as well. Adhesions, or fibrous bands of scar tissue that can build up as a result of surgery are a common cause of spinal pain for some patients. Adhesiolysis, is another interventional method use to treat this. Since 2010, reimbursement for the aforementioned interventional techniques has decreased, resulting in the decreased utilization of these methods. The rate of opioid deaths, unfortunately, but also predictably, has been inversely proportional in that same timeframe. Second on the ASIPP’s list is to expand low-threshold access to buprenorphine for opioid use disorder. 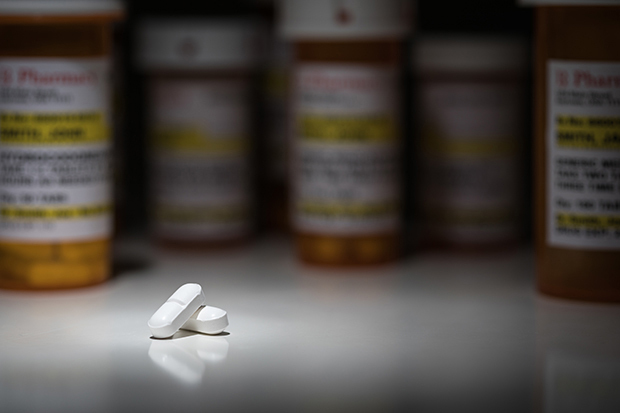 Buprenorphine is, ironically, also an opioid, but it is used to treat opioid addiction besides also treating moderate pains — both acute and chronic. Drug monitoring is also an important step. In this day of electronic medical records, a new era of communication amongst healthcare providers has begun. While it serves a valuable, time-saving purpose for patients across the country, it can also serve a life-saving purpose for patients in need of painkillers. In the form of the prescription drug monitoring program (PDMP) and the National All Schedules Prescription Electronic Reporting Act (NASPER) program, Dr. Benyamin believes enhanced communication between them and with them could help quell the rise in prescription opioids. There is more than one way to take action against opioid abuse. This second tier of action will work at not only preventing opioids from getting prescribed too often, it will better establish more interventional techniques and will also help those already suffering from a building addiction find an avenue of escape. In the end, these steps will save many more lives. To learn more about Dr. Benyamin’s and the ASIPP’s suggested course of action to fight opioid addiction, read the final installment of this series in the next issue of Healthy Cells Magazine. 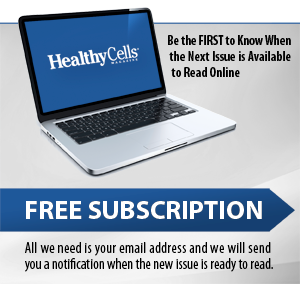 If you missed the previous articles, you may read them online at www.HealthyCellsBN.com or contact Cheryl at 309-664-2524. For more information on any type of pain, you may contact Millennium Pain Center at 309-662-4321 or www.millenniumpaincenter.com. Their new office is located at 2406 E. Empire in Bloomington. The practice provides the most advanced and comprehensive pain management for a wide variety of conditions.